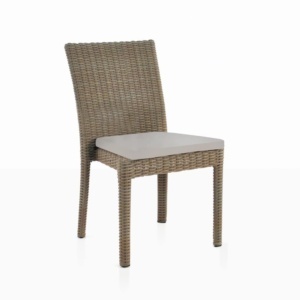 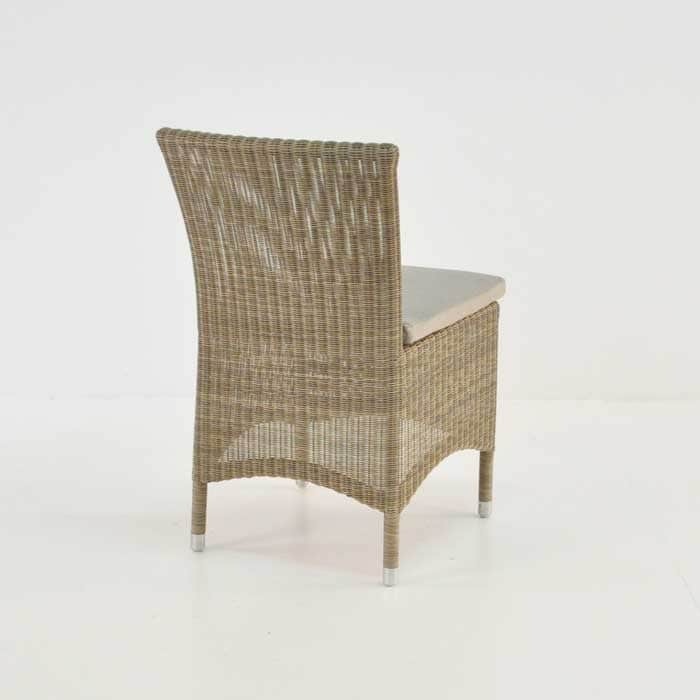 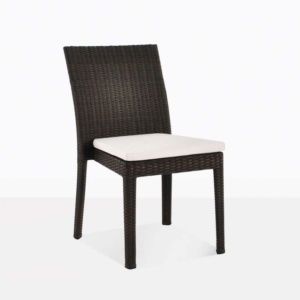 The new Enna side dining chair is made of Viro® outdoor wicker in fine weave. 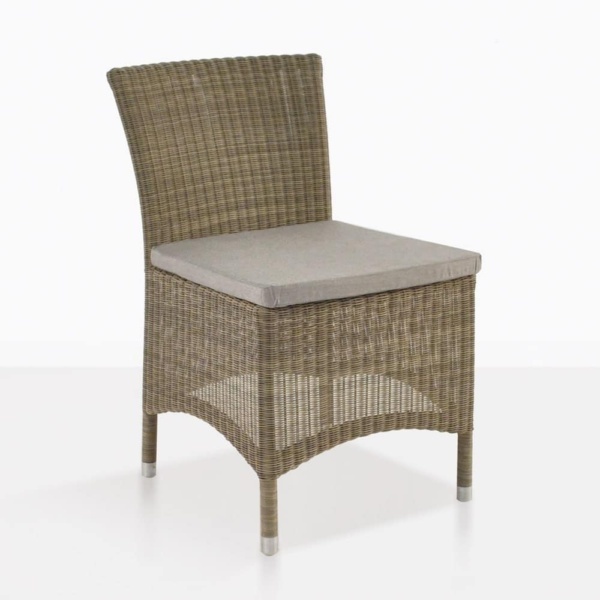 Perfect for outdoors or inside and comes with a Sunbrella® cushion as shown. 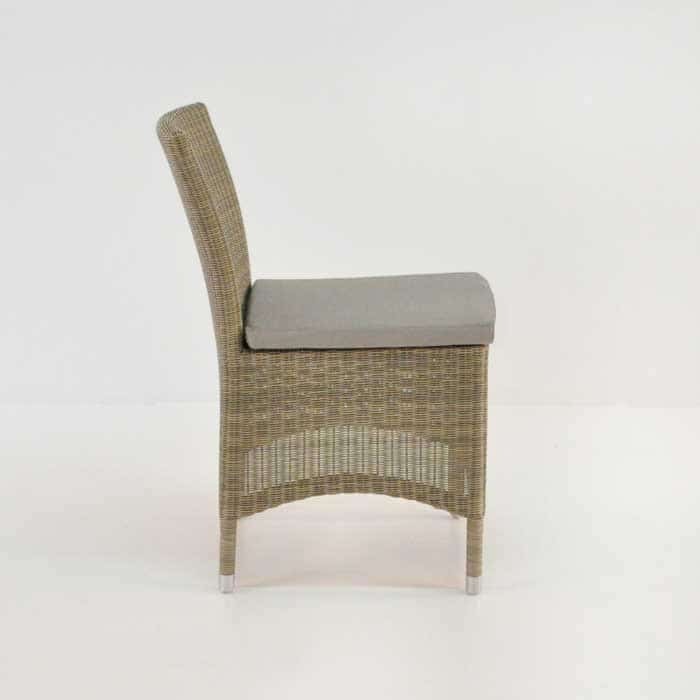 Pair it with the Enna arm chair and our Concrete trestle table for a contemporary classic look. Also available as an arm chair.